It is very common to think that nothing good can come from a down business market. However, I believe that there are many opportunities that present themselves in a down market that a savvy business professional can take advantage of. We must always remember that we are accountable to find out what works, even in the worst of times. Here are just a few of the opportunities that are available to you. Are all of your products or services contributing to your bottom line? Many times companies continue to manufacture or stock products that contribute marginally to the overall profit picture. This is a great time to loose that excess burden. Your customers will understand trimming a product because, “this is a down business market.” Now you are positioned to increase profitability and add new, exciting and hopefully more profitable products. Now is the time to get aggressive and pick up a new account. Maybe your competition is cutting back so much that their service is subpar. Maybe you have a better offer to put on the table. Whatever the reason is, go after that account you’ve always wanted and bring them in. Remember they are looking to make moves that will help their bottom line as well. This is a great opportunity to look at your team. Is everyone producing at an efficient rate? Are you getting the results you want? In a down market everyone in your organization must perform at a high level. Take this opportunity to evaluate and make changes where necessary. Are you and your team being as creative as possible? This is a great time to look at your creativity and improve where you can. What additional services can you provide your clients? Can you extend the buying experience so they actually want to do business with you not feel like they have to do business with you? 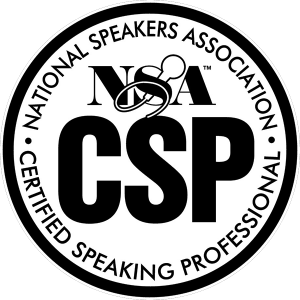 I have added additional value for my clients by offering custom recorded audio messages for their team after I speak at one of their events. We focus on helping with the implementation of ideas over time. This differentiates us and helps us secure and retain clients. When was the last time you looked at your internal systems? What is your customer support system like, or your sales system, or maybe your inventory control and ordering system? Your business is made up of many systems that you and your team members use every day. Take the time to evaluate the effectiveness. Do they add to the experience your clients have with your company or obscure the way? Are they efficient and streamlined or old and outdated? You will find ways to save a lot of money and create a more up to date organization by taking the time to evaluate and update all of your systems. In a down market it is critical that your value equation be top notch. Your value equation is based on the product and services your offer, how you offer them and what the client must give in return. What they give is measured both financially and in the effort it takes to do business with you. Even in a down market people don’t look to buy just for a low price. They look at the total value they receive. When I get an oil change for my car the dealer always washes my car. I could pay less for the oil change but then I’d also have to pay for the car wash. How can you add value? This can be a huge opportunity for your organization. The bottom line here is that you get to choose what you focus on. You can focus on the down business market or focus on the opportunities that it presents. Accountability counts. Focus on the opportunities and be accountable to grow your business.